The consumer rights act 2015 – are your terms and conditions up to date? October saw the Consumer Rights Act 2015 (CRA 2015) come into force, representing the biggest shake up in consumer rights in a very long time, a move that has the potential to catch many businesses on the back foot. The CRA 2015 largely replaces current consumer rights legislation. It goes further than merely replacing the term “seller” with the term “trader”; it centralises and reforms the sale and supply of goods and services, extends current consumer protections and introduces entirely new rights and a tiered system of remedies. It covers all supply of goods contracts so, as well as sale contracts, it also catches hire and hire purchase contracts, and the transfer of goods other than by way of a price. The CRA 2015 only covers business to consumer contracts so if your business contracts only with other businesses, then breathe easy! 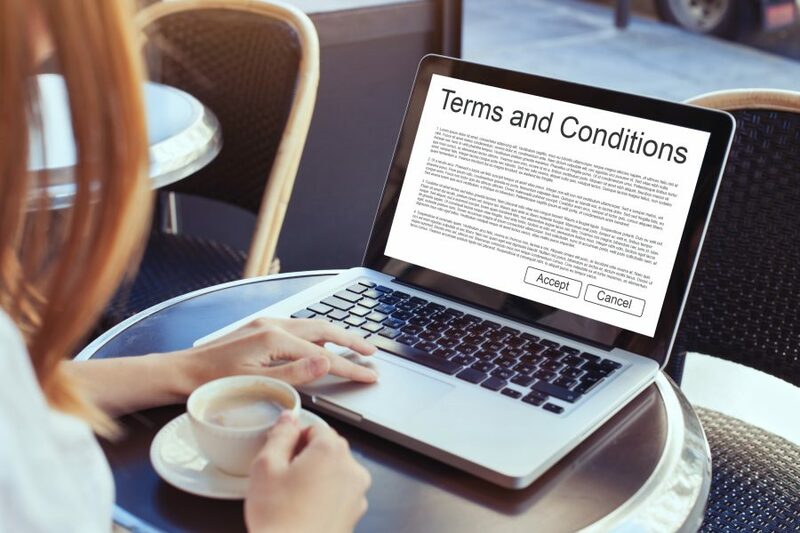 Now’s the time for every consumer-facing business which deals in the provision of goods or services to get up to speed and carry out a comprehensive review of its terms and conditions of business and all policies which deal with consumer rights. The CRA 2015 brings in a new tiered system of remedies in respect of defective goods. The CRA 2015 introduces a new “short term right to reject”. Should the goods not meet the contract requirements (including implied statutory terms), there is a period of 30 days during which the consumer is entitled to reject them and treat the contract as at an end. When a consumer rejects goods, they are entitled to a refund within 14 days. The consumer’s “short term right to reject” can’t be overridden by the provisions of standard terms and conditions, for example, by a provision purporting that a replacement will be provided in place of defective goods rather than a refund. If your business’s terms and conditions attempt to limit the consumer’s remedy to only repair, replacement or credit note then those provisions are effectively void, out of date and in need of revision. It is the consumer’s decision whether they (short term) reject the defective goods or, instead, opt for repair or replacement of the goods. As the trader, you only have one opportunity to repair or replace the defective goods – so make it count. If the goods are not successfully repaired or replaced, the next tier of remedies will automatically become available, with the consumer gaining the right to a price reduction or final rejection of the goods. The repair or replacement option is likely to be more preferable to you as trader, in that you have still secured a sale at full price, whereas a price reduction could be such that you sold the goods at a loss and a final rejection will mean you lose the sale entirely; the brand and reputational damage of course should not be overlooked. The tiered system of remedies under the CRA 2015 provides a “final right to reject” after other remedies have been exhausted. As the trader, this extension of time in which a consumer may be able to reject the goods needs to be borne in mind when considering your business cash flow as refunds may take place further down the line than previously. Also, agreements with your suppliers may need to be adjusted to include extended warranty periods, in line with the extended rejection period. If yours is a consumer-facing business which deals in the provision of goods or services, then now is the time to review your business’s standard terms and conditions to ensure they are compliant with the CRA 2015 reforms. Avoid the risk of your business being left exposed by seeking professional advice. Mincoffs’ Commercial team is headed up by partner, Antony Hall. If you would like any further advice, please contact Antony on 0191 281 6151 or email ahall@mincoffs.co.uk. Home › News › The consumer rights act 2015 – are your terms and conditions up to date?